Available to licensed massage and practitioners only, this unique 100 hour training will be taught in three modules, provide a deep understanding of the spirit and principles of Esalen massage, and allow you to become a certified Esalen Massage Practitioner. Location: Sanctuary in the Pines, Asheville, North Carolina, USA. 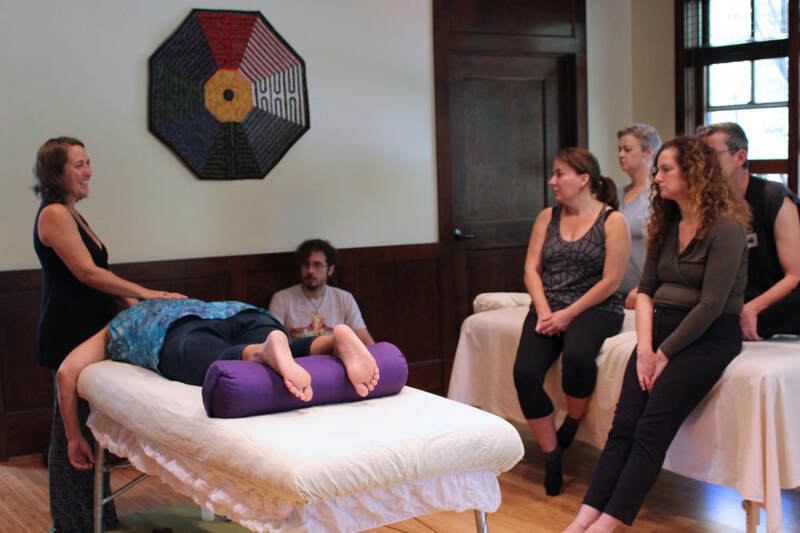 This training is designed to be deeply transformational and will give you tools for awakening your senses and bringing more awareness to your massage practice and your life. It is for certified massage & bodywork practitioners wanting to deepen their bodywork practice and add the Esalen approach to their work. Following the satisfactory completion of this program, students wishing to complete the certification process will have 6 months to document massage sessions. Upon payment of a $150 processing fee, an Esalen Massage & Bodywork Certificate will be issued. The daily schedule will include a variety of morning movement and meditation practice, massage demonstrations, and supervised massage practice sessions. We will include experiential ethics, pathology, alternate client positions, and the most current trends in Esalen Massage and somatic bodywork. There will also be time to hear from each participant, and practice good communication skills. 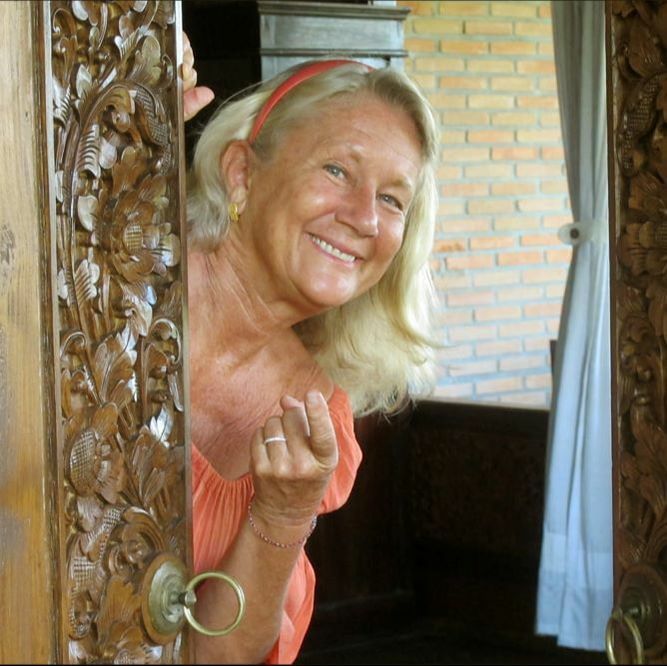 Robin has been working at the Esalen Institute and internationally since 1992 as an Esalen massage staff member, instructor, and registered yoga teacher. In addition to Esalen massage, Robin brings a lifetime of experienced as a trained dancer and has extensive training in craniosacral therapy, somatoemotional release, gestalt therapy, life coaching, and dance therapy. ​2015 Inductee into the World Massage Hall of Fame. Ellen is celebrating her 27th year on staff at Esalen Institute, where she studies, practices, and t teaches various modalities of moving meditation practice. A licensed minister, Ellen believes that the core of all healing begins in the realm of the heart and the Spirit. Among her great pleasures are opening the door for people to dance, to sing and play and pray, to touch and be touched. She is passionate about spreading the good news about how waking up can heal and transform the mind, body and soul. Ellen is a teacher of Esalen® Massage, Gabrielle Roth's 5Rhythms™, Holotropic™ Breathwork, SpiritDance, The Art of Essential Touch, and Your Body is a Musical Instrument. From 1984 through 2003, Ellen developed and administered the Movement Arts Program at Esalen. In 1996, she founded MovingVentures™ School, a 501c3, whose mission is education in the somatic arts, focusing on women and men in developing countries, and the southern USA. MovingVentures™ faculty offer workshops, retreats, and trainings at Esalen, in Bali, and at other inspiring locations around the globe. Tuition Price for this program is $1,895. In addition you will need to add your choice of accommodation. To complete payment and registration please visit the StillPointWellness Registration page by clicking below. To experience the full spectrum of healing benefits from this workshop we highly recommend on-site lodging. Retreat House - Adjoining to the Sanctuary (location of class) These rooms are private and each contain a sink and mirror, a glider rocking chair, a desk with chair and a twin bed. On each floor there are 2 private toilet rooms and 2 private shower rooms. Towels, linens and soaps are provided for each room. There is a large common room with comfortable seating on the ground floor. The retreat house and Sanctuary both offer high speed wireless internet access. Glamping If your version of “camping” includes the luxury of beds with linens, electricity, and A/C, these brand new artsy cabins right on the island in a 30-acre lake are just the thing for you. Bathrooms and showers are a short walk from the cabins. On-site camping For a deep connection with nature, choose from many cozy quiet spots tucked away in the trees to set up your tent.